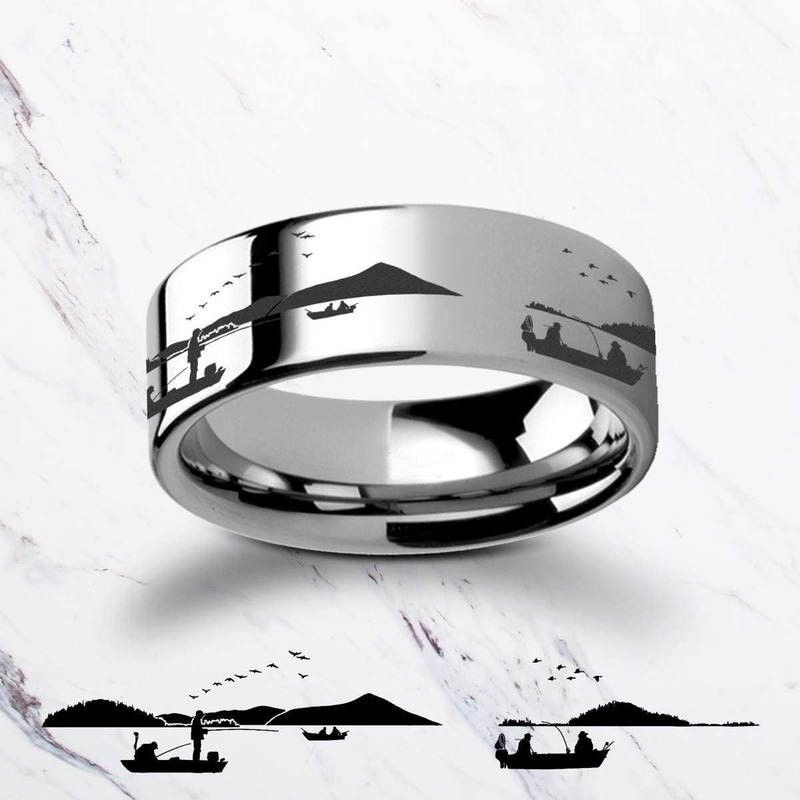 This is a flat polished tungsten carbide ring with an awesome landscape scene of fisherman fishing in a lake with mountains in the background and birds in the sky. This is an awesome engraved ring for fisherman and anyone that's into the outdoors. 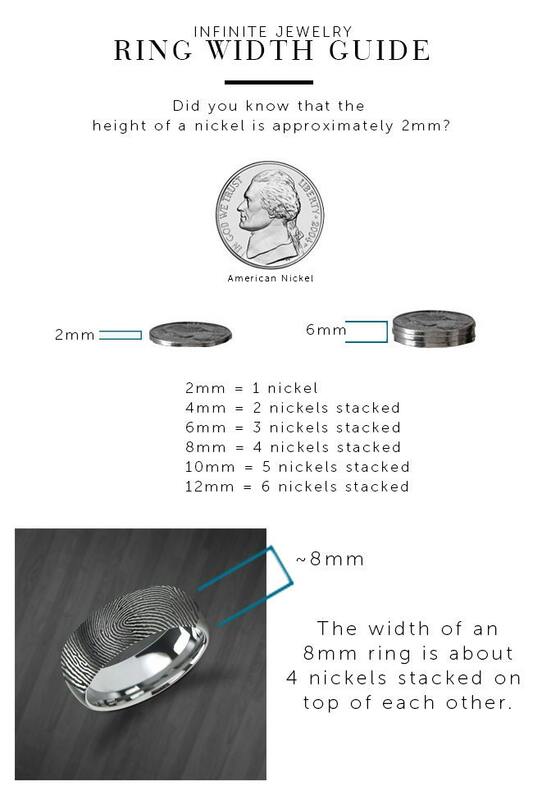 The scene is default repeated once, but if the ring size is large enough, it may be repeated twice. We can work with your request! Let us know if you definitely want two repeating scenes or just 1, we're willing to try to fit it for you if possible. love this unique ring so much! It is PERFECT for my fisherman fiance!